As our social spaces are going digital, to stay current, our qualitative research methods must follow.  We want to rescue the human approach to the Internet, and we’ll do this by analyzing the self-presentation strategies that people use to construct a digital-self by using digital anthropology as a powerful research tool. We share compelling stories from companies that validate its value to elevate and accelerate business and marketing impact. Polymedia highlights how users exploit the differences among media to manage their relationships, it is a comprehensive research service combining digital studies (tribe recognition, social media sociograms, and discourse analysis) with offline research, i.e. in-depth interviews, multi-site ethnographies, field recognition, etc. It is about exploring online cultures and analyzing the use that people give to technologies, given their living conditions of the profiles. Polymedia and ethnography converge in that they take as a starting point the relational dynamics that underpin social media practices. 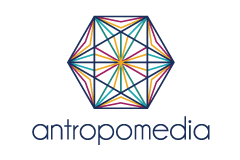 Antropomedia's technology analyzes your or your competitor's social network; like the people, topics, and places they frequently talk about or are connected to; with the idea being that their social data will reveal a lot of useful information, which can help you find the most important digital tribes and tribe leaders within a community. A tribal map (sociogram) is a good idea if you want to deliver content and services for the web. Identifying tribe leaders will help you prioritize the relationships you want to nurture for co-creating stories and experiences. It's a lot easier to activate tribe leaders if you know how to boost their social potential. Knowing about the places tribal members convene, online and offline, can help you select the proper channels to communicate. Many social scientists recognize that we now live in a new world of postmodern tribalism, but rather than belonging to one tribe we belong to many. The spaces we occupy are not necessarily physical, and we cross between them with ease. While our tribes are not confined by the web, they have been made more accessible. We are no longer bound to our tribes by blood, but by passion. Social Media Profiling is a document, essential for executing public relations campaigns, which presents a list of the most important users (tribal leaders) within the online communities studied. These users can serve as spokespeople for your brand, enhancing network influence, because is not just the social effect individual to individual that causes a tipping point, it is the effect of the network as a whole. This is our periodical monitoring service that analyzes digital tribes that arise from specific marketing campaigns. TribeConnected is our corporate training service that takes into account principles of digital marketing and combines them with applied digital anthropology. This training provides new opportunities for smart organizations to understand their consumers in new ways and therefore create strategies that, offer much-needed differentiation in the market. Tribewatcher is the world's first digital tribes encyclopedia. It classifies and describes the behavior, relationships, and affinities of millions of Internet users.